Memory: Get one with 2 GB of memory . Chip: Netbooks use CPU's that consumes little power. The most popular chip is currently the 1.6 GHz Intel Atom N450 or higher. Disk Drive: PCs use hard drives with moving parts. This isn't a good solution for a netbook because they get dropped and that can break a hard drive. The best solution for a netbook is a solid state drive (SSD)like the ones in a USB drive. Battery Life: Because netbooks are smaller than laptops their batteries tend to last longer than a laptop's ones. Don't consider anything under 4 hours. Keyboard size and spacing: Many of the new netbooks have keyboards that are 90% the size of a standard laptop keyboard. However if you have chubby fingers, like me, you should take a close look at both the size and the spacing on the keyboards. Size and weight: These vary between netbooks. Remember you are going to be carrying this item around with you. Weight varies between 2 and 4 pounds. Ports: A netbook should have a VGA port to connect it to a screen and 2 or more USB flash drive. Wi-Fi and megabit LAN are standard with these mini laptops. Newer netbooks come with Wi-Fi and Bluetooth. The following MINI LAPTOP Caught my eye as it had everything that I prefer in my MINI laptop.The only thing is that the price is a little bit high.I am a DELL fan, so I can accomodate a little. Dell Inspiron Mini 9 is seriously a good looking laptop which can be considered to buy if you are looking to gift a laptop to someone. Not only the looks but also the features are rich because its powered by Intel Atom 1.6GHz processor which takes very less power usage and also comes with a 1Gb of RAM along with 16Gb SSD Hard drive. The Screen Dimensions are 9.1″x6.8″ along with a thickness of 1.25-1.1″. The total weight is around 1kg and it does come under the Netbook Category. The laptop does look similar to the Asus 9″ Eee PC but is quite thinner and looks better. The Dell Mini 9 comes with 3 USB 2.0 Ports and SD Card Reader along with Ethernet, Bluetooth & Wifi Connectivity. Dont expect any CD Rom drive in these Netbook series because these are compact stuff which are generally connected to USB Drives. You get multiple inbuilt applications in this Laptop which are totally free and preinstalled for your daily need, though the keyword is quite small and you need to get habituated in order to use these small laptops. There are no ports in the front end and all the posts are situated on the sides of the Laptop. The battery life is around 3-4 hours based on the usage and the programs run and is quite ok when compared to the size and features of the Laptop though a 6-cell battery would have been expected rather than the current 4-cell battery. 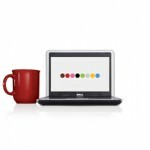 There are 2 models available in this based on the Operating System like Windows XP or Linux Ubuntu. This blog clearly explain each and every information about netbooks.Keep sharing saleem. Each and every line is useful one for me, may i know the price of Dell inspiron mini laptop. Your sharing the mini laptop price and also the laptop models.Nice to read.